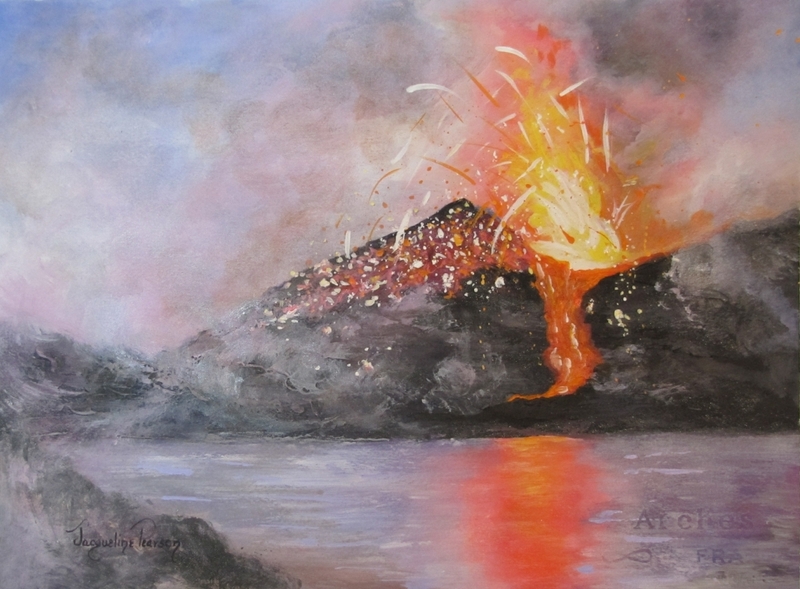 A colorful but violent eruption of a volcano with reflections in the water. It is water media on Arches watercolor paper. Framed in a 16 x 20 black lacquered frame with an off-white linen liner that sets it off beautifully.